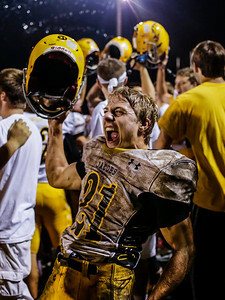 Lathan Goumas - lgoumas@shawmedia.com Junior running back Cody Ferencz of Jacobs screams in elation as he celebrates Jacobs victory over Crystal Lake South at South High School in Crystal Lake, Ill. on Friday, Oct. 4, 2013. 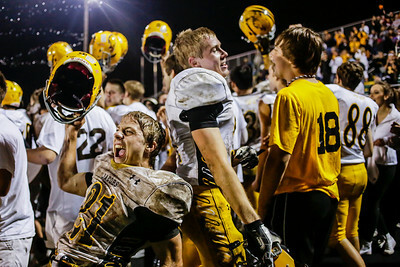 Jacobs defeated South 26-20 in the final play of the game. 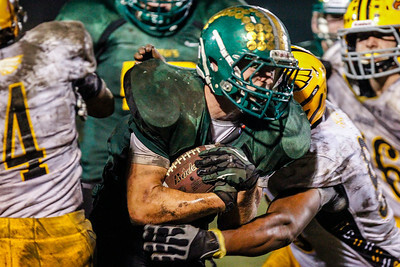 Lathan Goumas - lgoumas@shawmedia.com Jacobs junior running back Josh Walker runs the ball during the fourth quarter of a game against Crystal Lake South at South High School in Crystal Lake, Ill. on Friday, Oct. 4, 2013. Jacobs defeated South 26-20 in the final play of the game. Lathan Goumas - lgoumas@shawmedia.com Austin Rogers of South throws the ball during the third quarter of a game against Jacobs at South High School in Crystal Lake, Ill. on Friday, Oct. 4, 2013. Jacobs defeated South 26-20 in the final play of the game. 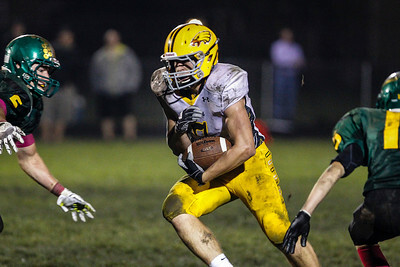 Lathan Goumas - lgoumas@shawmedia.com South's Phil Skrzypczak runs the ball during the third quarter of a game against Jacobs at South High School in Crystal Lake, Ill. on Friday, Oct. 4, 2013. Jacobs defeated South 26-20 in the final play of the game. 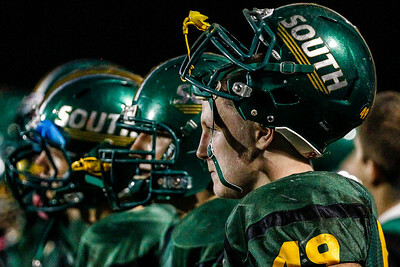 Lathan Goumas - lgoumas@shawmedia.com Josh Andrae of Crystal Lake South watches from the sidelines during the fourth quarter of a game against Jacobs at South High School in Crystal Lake, Ill. on Friday, Oct. 4, 2013. Jacobs defeated South 26-20 in the final play of the game. 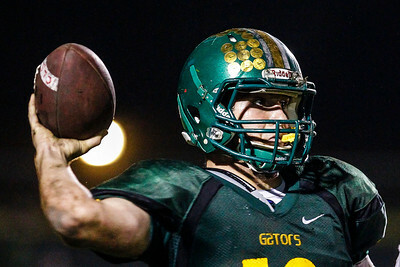 Lathan Goumas - lgoumas@shawmedia.com Jacobs quarterback Bret Mooney throws the ball during the third quarter of a game against Crystal Lake South at South High School in Crystal Lake, Ill. on Friday, Oct. 4, 2013. Jacobs defeated South 26-20 in the final play of the game. Lathan Goumas - lgoumas@shawmedia.com Wide receiver Hunter Williams runs with the ball during the Fourth quarter of a game against Crystal Lake South at South High School in Crystal Lake, Ill. on Friday, Oct. 4, 2013. Jacobs defeated South 26-20 in the final play of the game. Lathan Goumas - lgoumas@shawmedia.com South's Austin Rogers intercepts a pass intended for Hunter Williams of Jacobs as Tyler Baker of South also defends during the fourth quarter of a game at South High School in Crystal Lake, Ill. on Friday, Oct. 4, 2013. Jacobs defeated South 26-20 in the final play of the game. 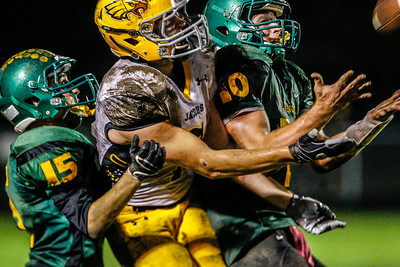 Lathan Goumas - lgoumas@shawmedia.com Jacobs quarterback Bret Mooney runs the ball during the fourth quarter of a game against Crystal Lake South at South High School in Crystal Lake, Ill. on Friday, Oct. 4, 2013. Jacobs defeated South 26-20 in the final play of the game. 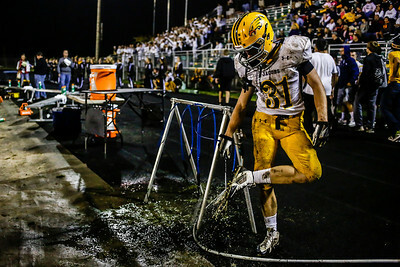 Lathan Goumas - lgoumas@shawmedia.com Sean McAvoy of Jacobs washes off his cleats during the fourth quarter of a game against Crystal Lake South at South High School in Crystal Lake, Ill. on Friday, Oct. 4, 2013. Jacobs defeated South 26-20 in the final play of the game. 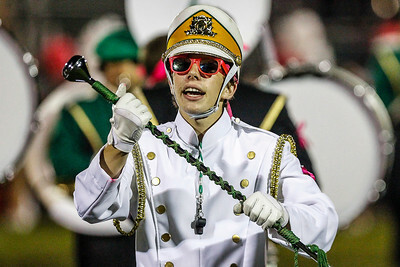 Lathan Goumas - lgoumas@shawmedia.com Junior drum major Ryan Spiniolas, 16, during halftime of a game between South and Jacobs at South High School in Crystal Lake, Ill. on Friday, Oct. 4, 2013. Jacobs defeated South 26-20 in the final play of the game. 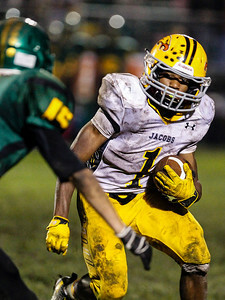 Jacobs junior running back Josh Walker runs the ball during the fourth quarter of a game against Crystal Lake South at South High School in Crystal Lake, Ill. on Friday, Oct. 4, 2013. 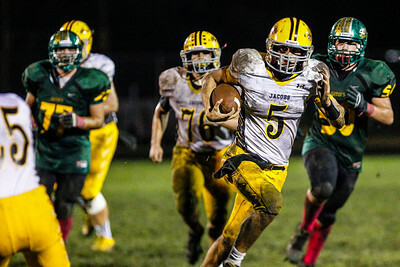 Jacobs defeated South 26-20 in the final play of the game.